A friend, who at University attempted to teach me the guitar, developed a career first as a pharmaceutical rep then latterly as consultant in the same industry. Next thing I knew, he had given up schmoozing doctors and pitching new asthma drugs. “I’m training to be a blacksmith”, he told me. The furnace, the bellows, the ironstone, his calling. In Alan Garner’s ‘Stone Book Quartet’, Robert is an illegitimate child being brought up by his grand mother (or Granny Reardun in Cheshire dialect, the name of this book of the four). Whilst napping stone for a wall with his stonemason grandfather, he realises he doesn’t have the skills to follow him; skiving off his last day at school he asks the local smith to ‘prentice him, so he can ‘get aback’ of his grandfather (aback: a generational improvement, to have a purpose in life through work). He becomes a smith: the smith makes the mason’s tools; makes the weathercock on the church or the arms on the Chapel clock. Just over the road from us a bridlepath heads out across the fields. A two part, five bar gate marks its start. There’s a chain loop over the top to hold the small gate in place and a hand made drop bolt to keep the main gate firmly held. That big gate was half a century old at least, but it finally succumbed to rot over the Winter. It had been leaning like a drunk for months before that. 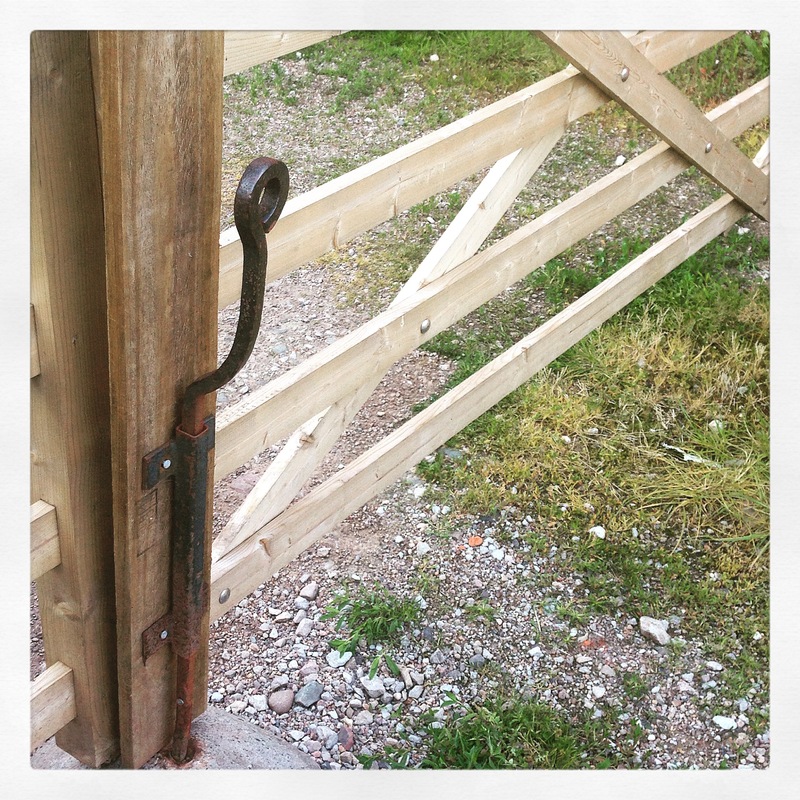 The new gate is now in place but the old drop bolt is still there, 50 years more use to come, the handywork of a ‘smith unknown.